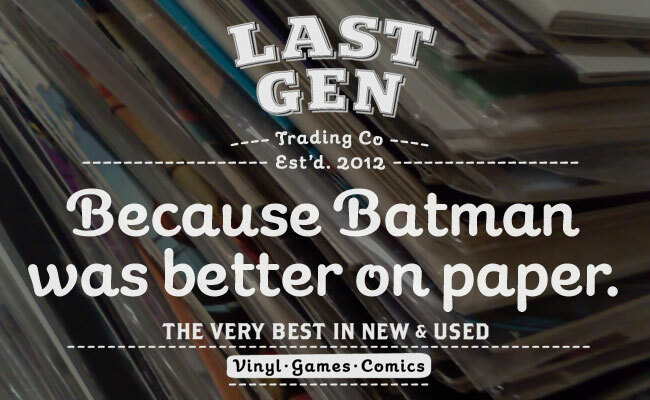 If you’re looking for a cheap back issue from Marvel, DC or Image to fill that hole in your collection or you just want to buy a Batman comic just to read, we’re the Toronto comic shop for you! All of our back issues start at $1.99 or 3 Comics for $5.00! We also have a nice collection of Silver, Bronze age and Modern Age wall books. 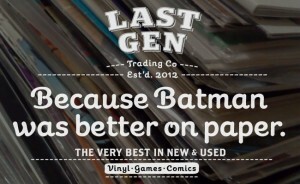 At Last Gen, we only carry the finest most popular comic titles in the best condition possible that people collect or read. No “bargain bin garbage” like Ravage 2099, Marvel Age, Power Pack, or any of the crummy 90’s titles that nobody wants. We also carry affordable (not supermarket priced) Archie Digests ($1.00 each) as well as some affordable graphic novels and trade paperbacks.